Note: Massachusetts is adopting a new short term rental tax in 2019. All rentals that take place on or after July 1, 2019 are subject to the new taxes. 5 Bedroom Ocean Front Home! 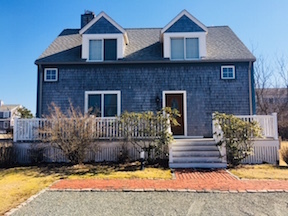 Newly Available as 4 Bedroom/3 Bath! New WiFi and mattresses, Summer 2019! New WiFi,freshly painted, and updated for summer 2019!